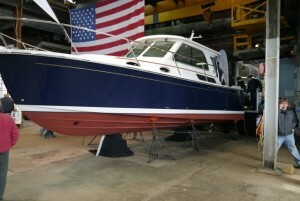 28th Maine Boatbuilders Show to feature Captain Dave Carraro of "Wicked Tuna"
Last year, Capt. Dave Carraro sold his Duffy 38 TUNA.COM, and began the search for a new vessel. Having considered various makes, like a Young Brothers, a Duffy 42, Lowell 33, and a Mussel Ridge 42, Dave and his team chose the Calvin 44. A larger cabin, stability, and a roomy cockpit were the final pros that championed the decision. 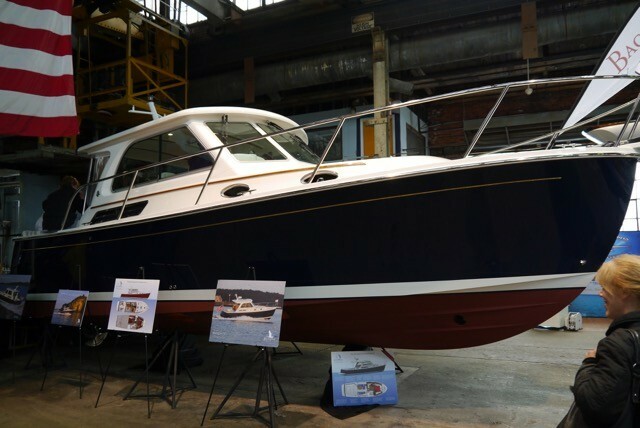 Though Larger than the Duffy 38, the Calvin 44 maintains comparable fuel efficiency. Among the craftsmanship to be featured at the show are Maine lobster hulls finished off for members of the sports fishing community. Since sport fishing is important on the coast and of increasing importance the further inland you go, there will be some guests from that industry participating as exhibitors and speakers. 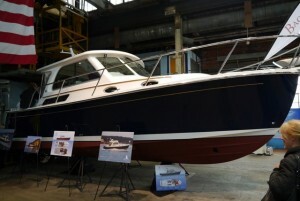 If you’re flavor isn’t building boats for sport fishermen, Maine’s boatbuilding community will be showing everything from dinghies to mega-yachts, and everything in between. Also, lots of surprises are in store. Several boatbuilders don’t know what they’ll be showing, but additional press releases will feature this information as we find it out. Admission is $15 per day at the door, or pre-order your tickes at the Show’s website where you’ll also find current information about seminars, a list of the 2015 exhibitors, gallery, and past event photos. The show promises to be huge success and if you have a taste for boatbuilding and its many facets, you’re sure to enjoy yourself amongst like-minded boatbuilders. Need a nearby place to stay? We’re located in Freeport, just 20 minutes from Portland. We have comfortable beds, excellent hosts, and a quiet atmosphere in which you can rest in between your visits to the Maine Boatbuilders Show. Check availability and book a room with Brewster House Bed & Breakfast. Can’t wait to see you!